With the advent of improved semiconductor technologies, these FACTS devices have been proven in their speed and flexibility. But there do exist some cost and complexity issues. There can be series as well as shunt compensation for the transmission lines using these FACTS devices. In series compensation, line impedance is modified, that means net impedance is decreased and thereby increasing the transmittable active power. 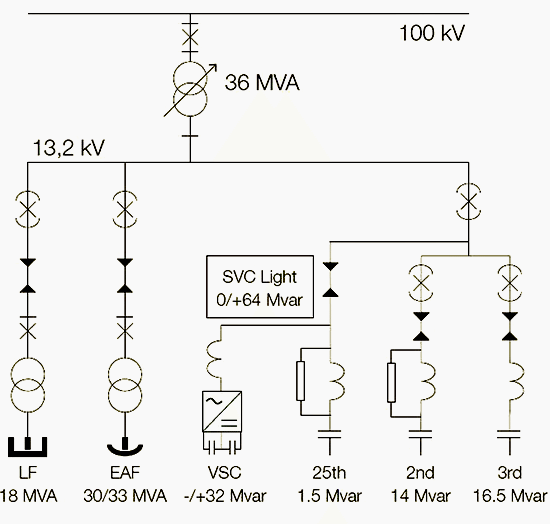 For shunt compensation, reactive current is injected into the line so as to regulate the voltage at the point of connection. Thus, the active power transmission is increased. In both types of compensations (series and shunt), more reactive power must be provided. 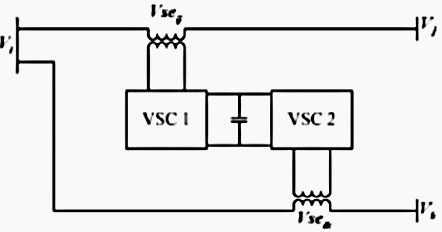 Series controllers are being connected in series with the line as they are meant for injecting voltage in series with the line. These devices could be variable impedances like capacitor, reactor or power electronics based variable source of main frequency, sub synchronous or harmonic frequency, or can be a combination of these, to meet the requirements. If the injected voltage is in phase quadrature with the line current, then only supply or consumption of variable reactive power is possible. TSSR – Thyristor switched series reactor. Shunt controllers will be connected in shunt with the line so as to inject current into the system at the point of connection. They can also be variable impedance, variable source, or a combination of these. If the injected line current is in quadrature with the line voltage, variable reactive power supply or consumption could be achieved. But any other phase relationship could involve real power handling as well. This category comprises of separate series controllers controlled in a coordinated manner in the case of a multiline transmission system. It can also be a unified controller in which the series controllers perform the reactive power compensation in each line independently whereas they facilitates real power exchange between the lines via the common DC link. Because, in unified series-series controllers like Interline Power Flow Controller (IPFC), the DC terminals of the controller converters are all connected together. It is a combination of separate series and shunt controllers, being operated in a coordinated manner. Hence, they are capable of injecting current into the line using the shunt part and injecting series voltage with the series part of the respective controller. If they are unified, there can be real power exchange between the shunt and series controllers via the common DC power link, as in the case of Unified Power Flow Controllers (UPFC). In short, FACTS technology enables the enhancement of power system performance. Researches are going on with the intension of minimizing the cost of the power electronics components. But with respect to the losses incurred in a power system, incorporation of these FACTS devices to mitigate them could be considered as cost effective. 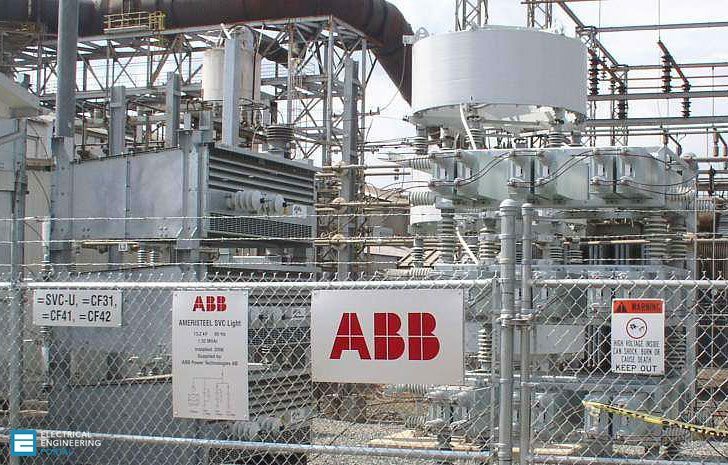 An ABB SVC Light rated at 13.2 kV, 0-64 Mvar (capacitive) has been installed at the Gerdau plant in Charlotte, N.C., USA operating an electric arc furnace (EAF) with continuous charging for scrap-based steel production. The EAF, rated at 30/33 MVA, as well as a ladle furnace (LF) rated at 18 MVA are taking their power from a 100 kV supply grid. The fast control of SVC Light will improve the power quality and particularly reduce the flicker levels generated. Well done. Is Circuit synchronization and damping inherently (physics) achieved or are there specific control aspects/commands programmed via the IED’s and/or switching capacitors, thyristors? Also, how important is Ground to these systems? i am interested to receive disquisition/article about “Network-Protection-And-Automation”. is possible to help me? Good article indeed .Gud work….